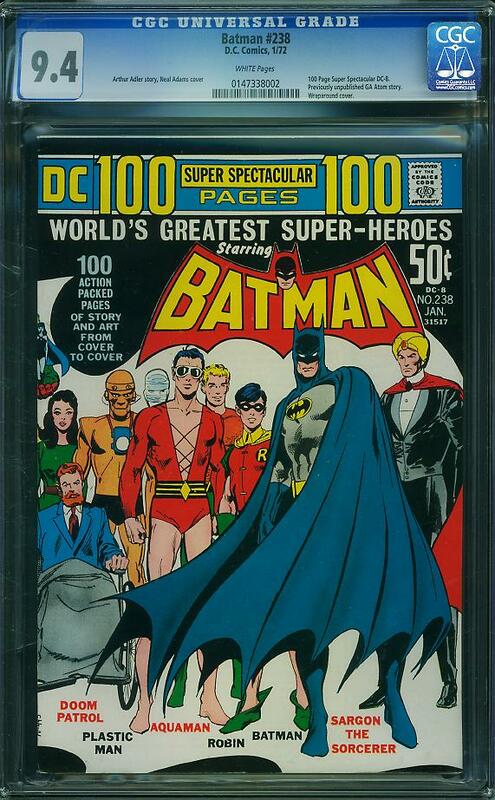 ComicLink just wrapped up their February Featured Auction, which had a considerable amount of original comic art. 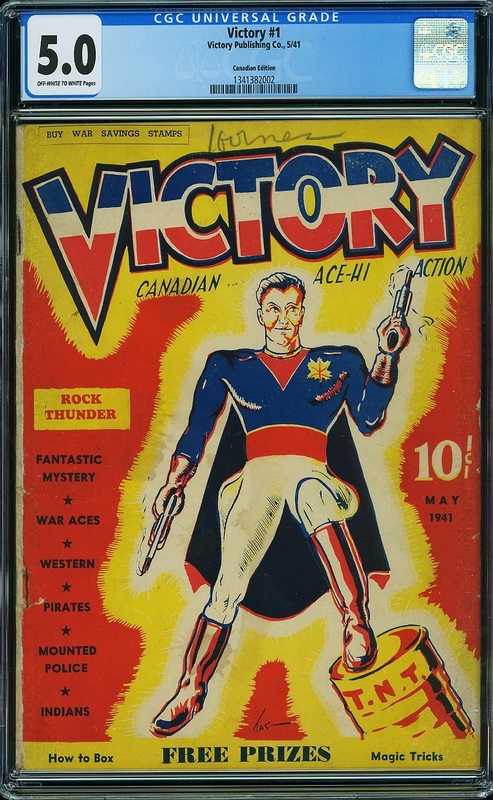 In fact most of it was silver age, with a smattering of golden age and modern. 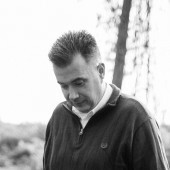 A lot of great stuff, but the ones below are the five stand out pieces. In other news another McFarlane Spider-Man cover sold for $65,669, some Jim Lee X-Men pages went for $10,000 and the complete Cerebus issue 6 interior pages sold for $15,850. 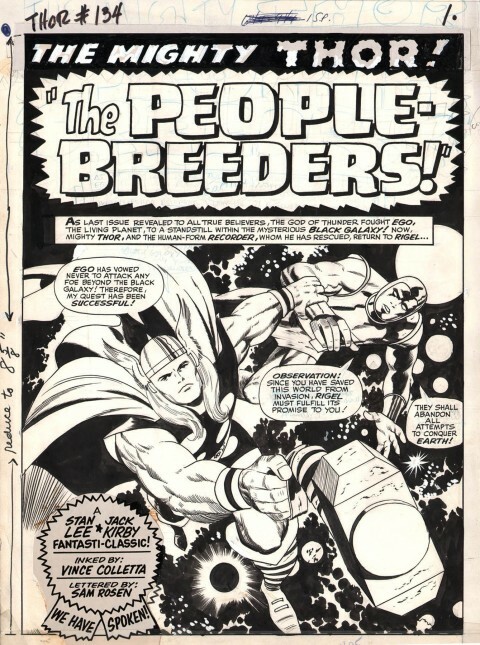 Thor issue 134 pages 1-16 complete story by Jack Kirby and Vince Colletta, 1966, sold for $221,000. Source. Wow, just plain wow. The complete story from Thor 134, featuring the fourth appearance of Galactus and the first High Evolutionary. That breaks down to $13,812.50, which is on the high end but you’re getting that “complete story” premium. Since I can’t remember a complete Marvel Kirby story on recent offer, that adds up. Advantage Seller. Yes it’s a rare thing, but selling those pages individually would in no way add up to the total paid. 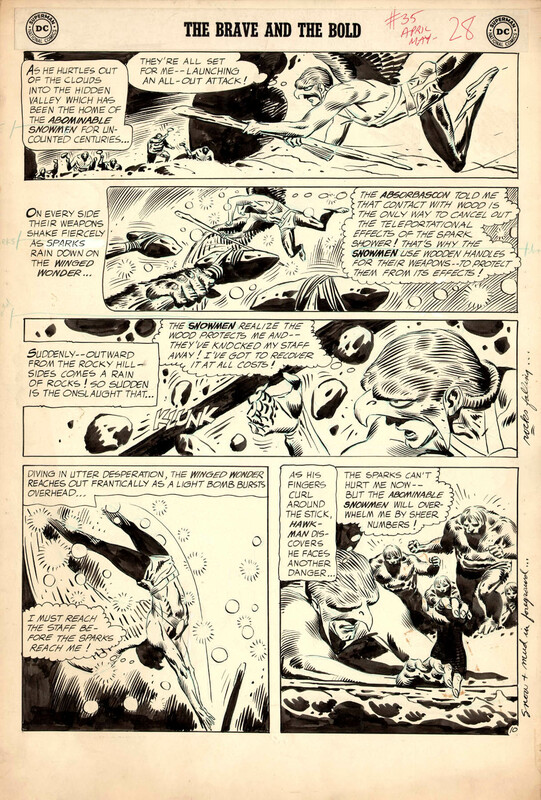 The Brave And The Bold issue 35 page 10 by Joe Kubert, 1961, sold for $9,101. Source. Another stunning page, this time a very early Kubert Hawkman. Advantage Buyer. These aren’t coming up too often, with Heritage’s last Kubert Hawkman selling for $3,585 in 2011. 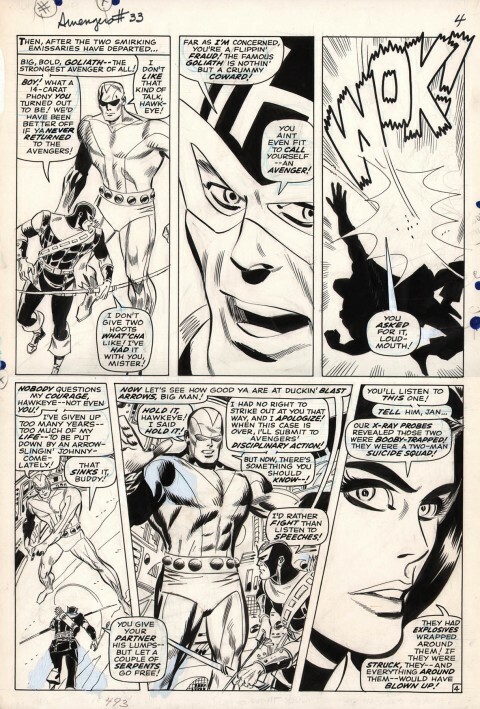 Avengers issue 33 page 4 by Don Heck, 1966, sold for $2,628. Source. 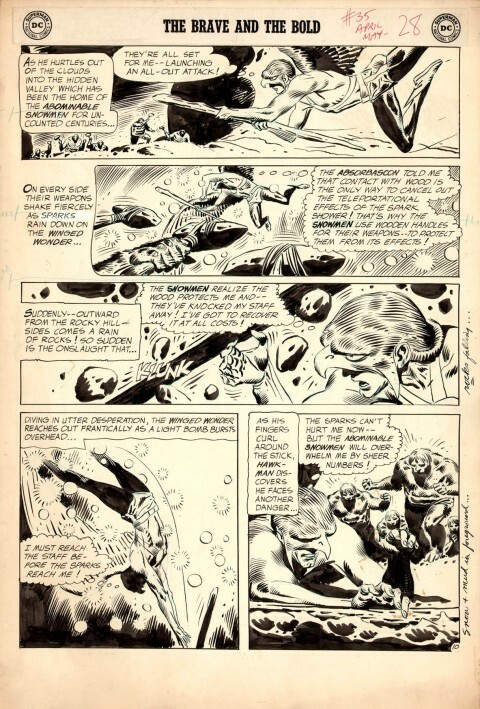 Heck was at the top of his game during the second half of the 1960s and the clean lines and sharp definition of this page tell that story. Advantage Buyer. Heck’s Avengers pages seem to be holding steady, with this price range since 2010. It’s only a matter of time. Daredevil annual issue 1 splash by Gene Colan and John Tartaglione, 1967, sold for $9,800. Source. A wonderful splash page from Colan doing his Daredevil thing. Advantage Buyer. 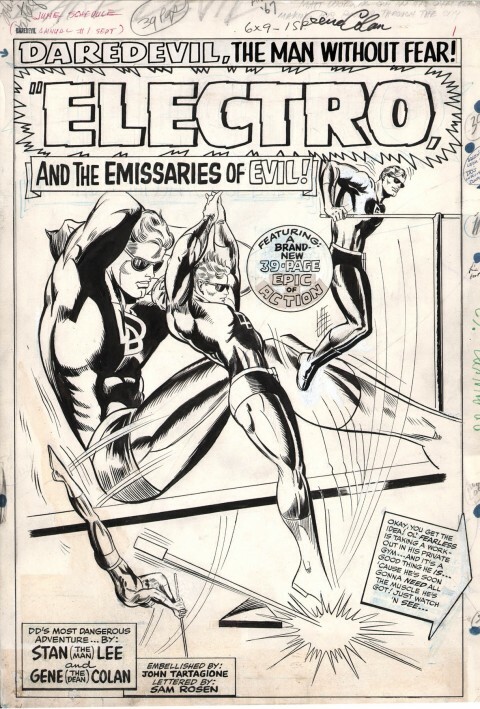 Full Colan Daredevil splash from ’67. Nuff said. 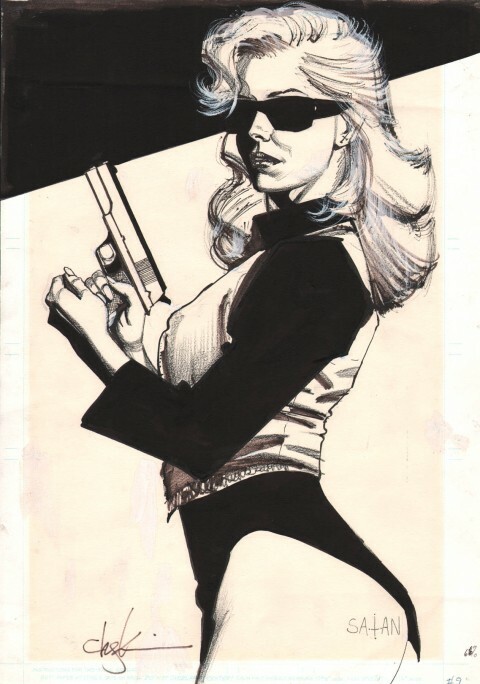 Black Kiss issue 9 cover by Howard Chaykin, 1989, sold for $4,200. Source. Four Black Kiss covers were offered this auction, all fetching about this price. Most likely from the same seller, not a lot of Black Kiss material on the market. Advantage Seller. I love Chaykin but Black Kiss and its infamy don’t translate to a high resell. Auction Highlights #49 – Merry Christmas?